meeting point: Public Car Park, Newton Hawker Centre. This tour is limited to 40 persons. Nested in the tranquil grounds off Lornie Road, lies a tranquail 40-hectare site which is home to the remains of many Singapore pioneers, many of whose names still grace those of streets and places in modern Singapore. Here, the earliest tombs dated back to the 1840s and stretches more than a century to the last burial in the early 1970s. A tour of this century-old cemetery housing 100,000 forefathers of Singapore is more than just a tour, whereby one can see the imprint and changes of our Chinese customs, culture and heritage throughout the years. 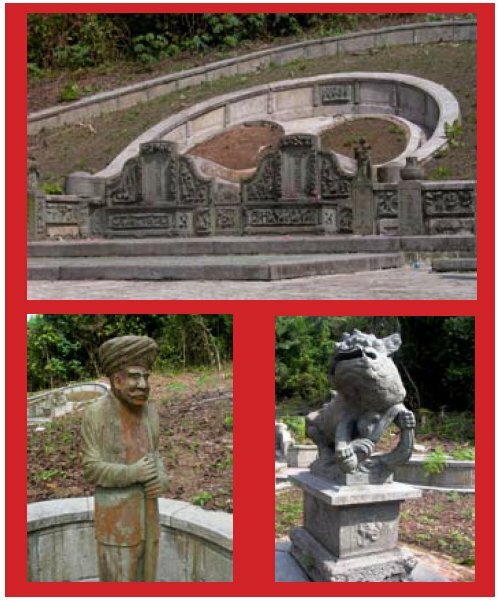 Throughout this outdoor living museum, by looking at the tomb inscriptions and designs, stone carvings and murals, one can see and learn Chinese customs and religious beliefs, Chinese mythology, fengshui, family and clan relationships, Qing dynasty reign years and Imperial titles and the ancestral areas in Fujian and Guangdong Prefectures whereby most of our forefathers came from. So, take a walk into history amidst the undisturbed tranquil serenity of Bukit Brown wonderful flora and fauna, and learn the historic, cultural roots of our forefathers in this living heritage museum. is featured regularly in the Chinese press and TV programs like On the Beat and Frontline, in which his expertise in tombs matters was sought.